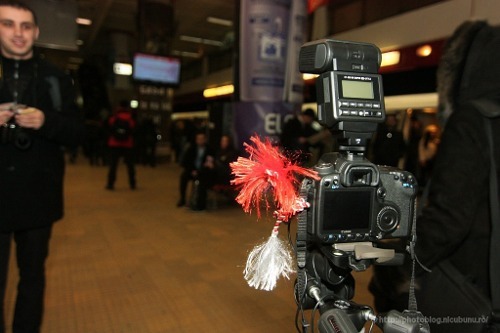 I did it again, despite being at times very vocal against this tradition, I joined Orasul.ro for a Mărțisor photo event at the Uniri subway station. Take it as a photojournalism exercise. People used the opportunity to shoot the event, the people around and the subway station overall (normally you are not allowed to shoot there). And of course to have some fun – that is, or should be, the purpose of any community action. 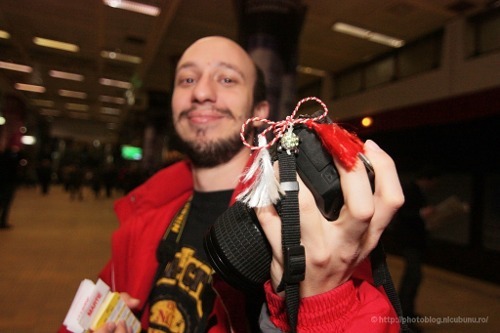 If you don’t know, the Mărțișor tradition suppose the men give to the women some trinkets put on a red and white string, so that was our pretense. Most of them smiled and accepted, while some avoided us, suspecting we just try to hit on them.